Difference between Augmented Reality, Virtual Reality and Mixed Reality. Human imaginations are always awesome. Starting from the invention of the Computer in 1822 to 21st century, life is becoming easier, faster and technological. Various inventions proved to be revolutionary. 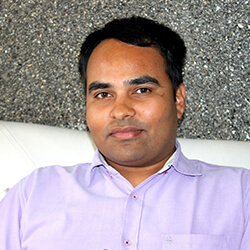 For instance, Uttama Lahiri and her team at the Indian Institute of Technology in Gandhinagar, and their collaborators at AIIMS in New Delhi and AMRI in Kolkata, have now developed virtual reality (VR) based exercises for such patients, and have been able to show that these have the potential to offer a motivational exercise environment, thereby, bringing in effective rehabilitation. Artificial hand for physically handicapped ones is a recent invention works as per the commands of person’s mind by codifying the thoughts of that person! How far we’ve come! It looks like a wonder. In all those wonders, Virtual reality, Augmented Reality and Mixed reality are some sensational innovations. Let’s dive into their details and explore what, why and how of all three of them head on head. Virtual reality is one of the modern technologies which was introduced a few decades back and has taken an important place in the field of technology in a very short time. It makes use of an artificial environment generated by the computer in which simulates the real environment. Besides gaining an immediate acceptance in the world of computer games, it is now being used in many fields of life including architecture, medicine, military and aviation. Scientists and researchers are expecting to explore a lot in this modern technology than what we know about it today. It is a great leap in the field of 3D and a lot of work is still under progress. The discussion below is an insight into the details of this technology, its uses, advantages, disadvantages and social impacts. The one uses a helmet, ear phones and a pair of special gloves or joy sticks controlled by a computer and assisted by special sound effects and graphic images. The one makes use of the video cameras. These cameras track the image of the participant in an artificially created virtual world. The participant can even move the objects in this world using virtual technology. The one that makes use of the three dimensional images. The screen used is shaped in a curve. This makes the images closer to the real world. (Nigel W. John, Joanna Lang (2001). Pub game, Temple run, subway surf, Discovery VR, Orbulu, Incell VR are some examples of Virtual reality based apps in market. Moreover Virtual reality is much more beneficial for the video game industry. 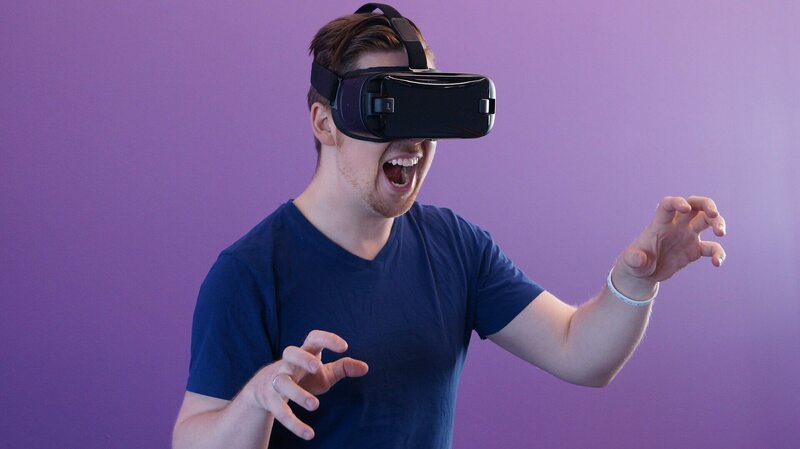 Virtual reality provides the diverse types of data available in instant forms. It provides images from many different points of views. It is able to demonstrate the non-visible data to the user like in case of geochemistry. Allows a person to ‘visit’ the places normally inaccessible to individuals. Provides an experience which can be repeated and revised. It only creates imaginary world or an artificial world, but can’t deal with the real world objects. Though having capabilities of being used for educational purposes, it devalues the importance of human connections and synergy in education. We all know that necessity is the mother of invention. That’s why for overcoming all these cons of Virtual reality, techno experts have introduced an update called Augmented Reality. Augmented reality is a technology enriching the real world with digital information and media. It adds graphics, sound, feedback, and smell to the natural world as it exists. It blurs the line between what's real and what's computer-generated by enhancing what we see, hear, and feel. It may be called as an add-on pack to the VR i.e. Virtual reality. In simple words, Virtual objects overlaid on real environment in augmented reality. It is the integration of digital information with the user's environment in real time. Unlike virtual reality, which creates a totally artificial environment, augmented reality uses the existing environment and overlays new information on top of it. Mankind never satisfies. And the concept of augmented reality itself begins with dissatisfaction with the way the world appears before us. It creates a world which is special to each one of us as if the God has listened to our wishes. SketchAR, Mondly, Pokemon Go , AutoCAD for android, Asian paints colour selection app and Snapchat are the few AR based applications which are very popular and widely used in general. Marker Based augmented reality It uses interfaces like camera or some type of visual marker such as QR/2D code to produce result when the marker is sensed by a reader. Marker-less augmented reality Marker less AR uses a GPS, digital compass, velocity/accelerometer which is embedded in the devices to provide data based on user’s location. Projection based augmented reality It includes the projection of artificial light on real world objects. This artificial light senses a human touch and accordingly the miracle happens! Superimposition based Augmented reality Superimposition based augmented reality either partially or fully replaces the original view of an object with a newly augmented view of that same object. Increase Sales: Apps such as lens-kart are AR based app which enables the customer to check if the product justifies his/her need or not. Hence AR helps in increasing sales by increased customer interaction. A recent start-up called “StyledotMe” got the momentum in jewellery industry. It can be used for training and skill development applications in various industries such as military, loco-pilot training, nuclear plant trainings etc. As it is having human interaction with virtual and real world as well. In some specific cases, it becomes too ambiguous to implement. As the number of layers increases, sometimes it looks not mixing of not fulfilling the exact environment needs and loses its user friendly charm. Content may obscure or narrow a user’s interests or tastes. Privacy control is a big challenge with AR. Well, there is a solution for every problem available in the world. And to these cons of augmented reality, that is MR.
MR stands for Mixed Reality. Term ‘Mixed’ gives us a hint that there is something in it which is combined. Let’s explore MR further. Mixed reality is the combination of what is best in VR and AR respectively. It’s a blend of best features of Virtual reality and augmented reality. Mixed reality indicates videos where VR-content is integrated into a real time linear video. Mixed reality (MR) not just overlays but anchors virtual objects to real world objects and allows the user to interact with combined virtual/real objects. Simply, mixed reality is that mixed reality is a type of hybrid system that involves both physical and virtual elements. Many experts describe mixed reality as the sliding scale between a fully physical environment with no virtual elements, and a completely virtual environment. For instance, while it uses a headset just like VR, seeing through a translucent viewport or glass, it also projects visuals on top of our environment. Microsoft CEO sees mixed reality as the key technology that would shape the future in the decades to come. What make MR stand out are its highly interactive aspect, and the realistic rendering of the projection it adds to our surroundings. Instead of depending solely on remote controllers or phone screens, we can interact with the immersive content using natural body and finger gestures. Mixed reality eliminates the disadvantages of both VR and AR. Mixed reality can take interactive product content management (IPCM) to some other level. Mixed reality allows a global workforce of remote teams to work together and tackle an organization's business challenges. Mixed reality helps manufacturing sector a lot by creating mock-ups of processes. In health sector, MR can do better with the help of smart glasses. Surgeries have become too much easy and flexible. MR will make us move from e-learning to simulation based learning, which ultimately will transform the way of modern education. We have gone through the basics of VR, AR and MR and their benefits as well as their limitations. It is said that newer and updated technology makes some difference in the existing one. So, on that note we should have some comparative study of these three as well. In the augmented reality v/s virtual reality issue, panoramic videos are really important as they should attract viewers’ attention from the very beginning. More exciting and believable content will be watched more. In case of virtual reality, your screen becomes your world whereas in case of augmented reality, your real world becomes your screen. VR is 75% to 80% imaginary but AR incorporates the same percents of real world instead. VR is exclusively used for entertainment industry and education industry. AR is useful in real world problems such as construction, automobiles and navigation. VR transports the wearer to another environment. In case of AR, wearer remains engaged in real world and keeps hands free. 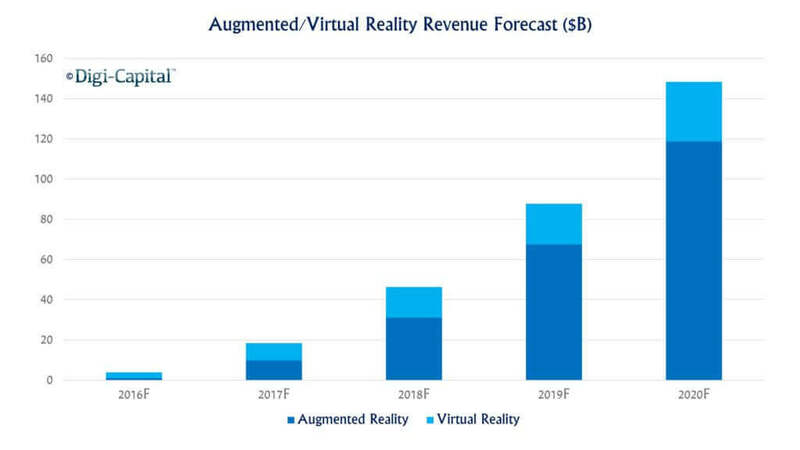 According to Digi-Capital report, VR is expected to be 30 billion USD business in 2020 whereas AR is expected to be 120 billion USD business in 2020. 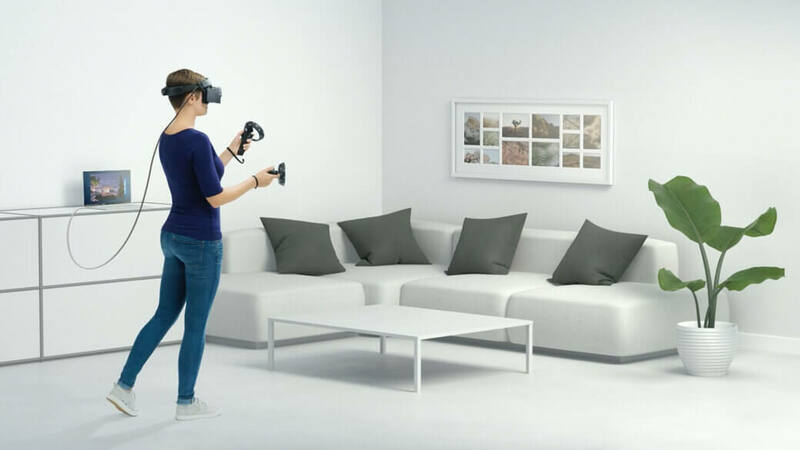 CCS Insight expects that slightly less than 8 million AR and VR devices was sold in 2018, growing to 14 million in 2019 and to 52 million in 2022. In general, both mixed reality and augmented reality involve placing virtual objects in a "real" visual field. However, in some cases, people use the term "augmented reality" to specifically describe a virtual overlay, such as a digital overlay on a car windshield, while using the term "mixed reality" to describe specific situations where virtual objects are instead integrated into a physical view individually and fixed in that view. Virtual reality is completely imaginary but mixed reality is around 70-80% real and 20-30% imaginary. In case of virtual reality, user just has to set back and watch whatever comes on the VR device, but MR totally involves the user in itself. MR is much more interactive than that of VR. Virtual reality has a limited usage in the sectors like training, medical etc. VR is perfectly suitable for entertainment industries. Whereas, MR is having multiple applications ranging from entertainment to skill development and health sectors. 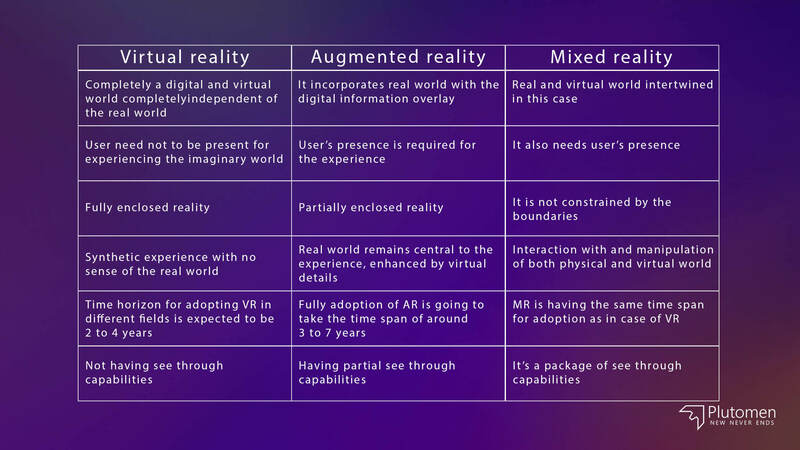 As you can see, VR vs AR vs MR technologies are quite complex and different from each other. These technologies will allow brands and advertisers to attract the attention of consumers. Thanks to immersion in virtual worlds, users can experience incredibly strong emotions. If you know how to give these emotions to your audience, you can increase the recognition of your brand. 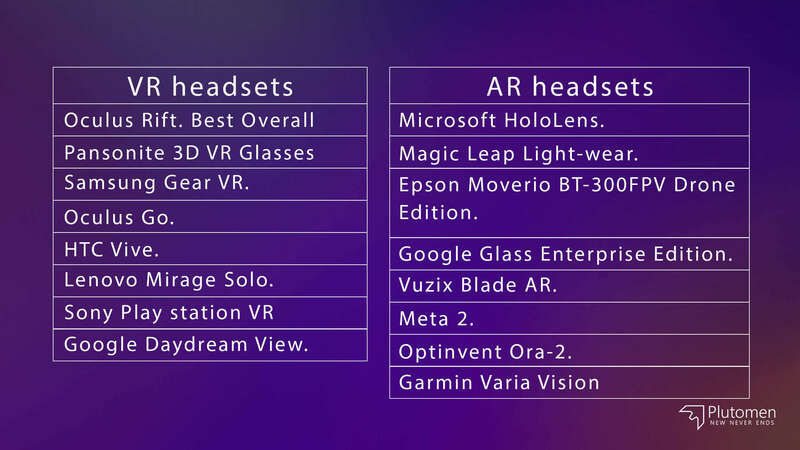 As you can see, VR v/s AR v/s MR technologies are quite complex and different from each other but they quickly gain the market and attract the attention of businessmen. These technologies will allow brands and advertisers to attract the attention of consumers. Thanks to immersion in virtual worlds, users can experience incredibly strong emotions. If you know how to give these emotions to your audience, you can increase the recognition of your brand. Trying to implement these technologies to your business, you should pay much attention to the software. If you want to get high-quality tools and apps, first of all, you need to find an experienced and qualified team of developers.